Making a car purchase requires what seems to be an endless amount of decisions. So many options really complicate the car buying process. Deciding to lease a used car is a big decision but it can make vehicles you never thought possible, possible. When leasing a vehicle you are making a choice to make a payment indefinitely. Your car payment will be a part of your budget basically until you choose to no longer lease. Why would someone want a car payment forever? You can think of it like paying to borrow a car or a car subscription. You drive it for a couple years then trade it in for a newer model or a completely different model. Afford a Luxury Car You Would Normally Not Be Able to Afford: Do you have your eyes set on an Audi or Lexus? A 40k or 50k vehicle might not fit in your budget but a lease might make it a possibility. 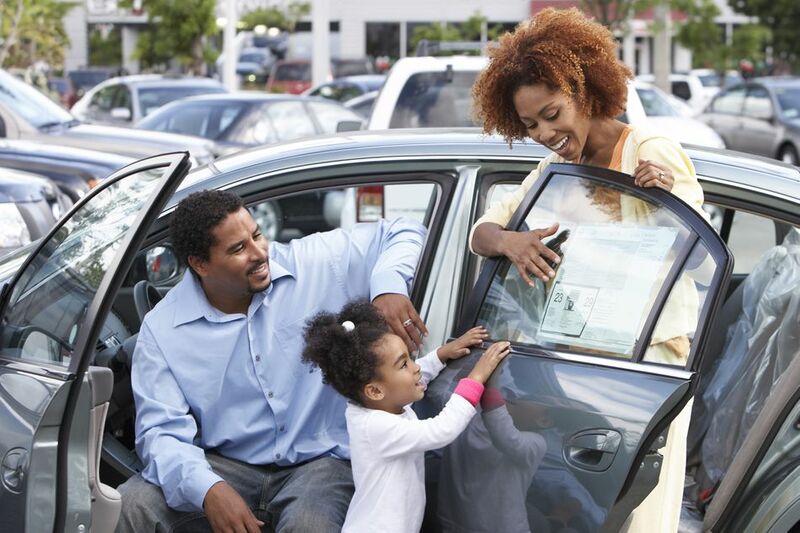 Used car leases are best for vehicles which retain their value. Used high-end vehicles are perfect for leases. Range Rover, Mercedes-Benz and other luxury brands often hold their value, which makes leasing a good option. Easily Trade It for an Upgrade Without the Hassle of Selling It: The burden of selling a car is real. Finding a buyer and negotiating a price is a hassle many want to skip. Lots of people just trade it into a dealer, which often leaves you shortchanged. A lease makes the process easier because the terms were decided at the time of purchase. Get a Short Lease: Signing up for a lease swap means you are getting a lease in the middle of its lease term. The length of the lease could be two years, one year and possibly even shorter. This could be a pro if you just want to try out a make and model or only need a vehicle short term. Older Cars Have More Problems: Well we all know cars do not work better with age. Leasing a used car means it already has some miles on it. Some of the first things to go on an aging vehicle are the in-car electronics and they can start making noises and getting leaks. Acquisition Fee: Whether you are buying from a lease trade site or a dealership there is probably an acquisition fee to take over the lease. It might be possible to find a financial institution who does not charge a fee but many charge as much as $600. Warranties Get More Expensive: Bumper to bumper warranties are certainly the best but they can be harder to get with older vehicles. It Is Harder to Determine What the Future Value Will Be as a Vehicle Ages: Leasing costs are usually based on the estimated value of the vehicle when it is turned back in. Determining what that number will be, becomes more difficult as the vehicle ages. As a result, it is possible the vehicle is estimated at a lower value and you are stuck paying the difference. High-end car dealers often offer lease deals on used vehicles. Seek out your preferred make and model and ask if a lease is available on something that suits you. Many people do not realize leasing a used vehicle is an option, make sure to ask for it. It is not as common to lease a standard used car. It still does not hurt to ask about possible options. SwapALease.com has over 3 billion vehicles listed making finding the perfect vehicle a good possibility. It is a modern looking site and they offer a lot of other services to help you in the swapping process such as lease calculators and vehicle inspections. LeaseTrader.com is a leader in the industry. Search by category or hot deals to find the car of your dreams. LeaseQuit.com provides step-by-step instructions on how the process works. Taking over someone's lease can make a lot of sense. It can get you into a car you may not be able to afford to buy outright. It can be debatable whether or not a lease is a good idea in the long run, but it really is a personal choice. The ability to take over someone else's lease opens up new possibilities and makes it so you do not need to be under contract for such a long period of time like a traditional lease. A car lease is negotiable just like buying a new car. If you are getting the vehicle from a dealership, do a little research on the vehicle you are purchasing. See if you can find the same make and model four years or five years older or better yet the length of your lease to see what its value is currently. It will give you a good estimate of what your vehicle will be worth when your lease is over. Take the current value of the vehicle you want to lease minus what you think the value will be at the end of the lease. Divide that by the number of months of your lease and that should give you an idea of what the monthly payment ought to be. Sellers often offer incentives for someone to take over their lease. It never hurts to ask for more. Ask for the first or even the first and second payment to be paid for when you take the lease over. Often the seller wants out of the deal so badly they will gladly pay ahead. Warranties are always important. When signing the deal on a used car lease it is especially important. Many things can go wrong mechanically with a vehicle and even though you do not own the vehicle outright you are still responsible for fixing any problems. A bumper to bumper warranty can come in very handy on a used vehicle. Always inquire about the warranty so you know exactly what you are signing up for when leasing a vehicle. Whether you are agreeing to a used car lease or a new car lease, you need to insure it. Car insurance is required by nearly every state. The state will set the limits for the minimum amount of insurance required by law, but the leasing company almost always requires more coverage. Limits of Liability: It is common for states to require as little as 25,000/50,000 limits of liability. However, you might find a leasing company requiring limits of 100,000/300,000. By signing the lease agreement, you are agreeing to their car insurance requirements. Comprehensive Coverage: Physical damage protection is certainly not only in your best interest but also the leasing company's best interest. Comprehensive coverage protects against any kind of physical damage other than a collision. Hitting an animal, storm damage, fire, theft, vandalism, windshield damage, and more are all covered by comprehensive. Collision Coverage: Hitting any inanimate object is considered a collision. Back into a mailbox or garage is a collision. Hitting a guard rail is a collision. Hitting another vehicle is also a collision. Collision coverage is almost always required by your leasing company. They want to make sure their collateral is fully repaired after any accident. Deductibles: Leasing companies can also stipulate what deductible you need to carry. They do not want high deductibles because it reduces the likelihood of you getting the vehicle repaired. Plan on $500 deductibles, many do not allow $1,000 and above. Third Party Insurance: Fail to purchase enough coverage and they will take out a third-party car insurance policy. A third-party policy covers your vehicle for physical damage but not for liability or medical expenses. The cost is usually much higher than purchasing a traditional policy. The leasing company will then send you the bill for the coverage. You will be required to add the leasing company to your policy as a loss payee and additional insured. The leasing company owns the vehicle too. They are loaning it to you for a period of time for a set dollar amount. If something happens to the vehicle they want to know about it. If something changes on the car insurance policy, they want to know about it. Adding them to the policy as loss payee makes it so all changes are mailed to both you and the leasing company. Adding them as additional insured will make it so all claim checks are made out to both you and the leasing company. It is very easy to add a loss payee and additional insured. All you need is to provide the correct mailing address your lease company designates to your car insurance agent. If this step is not done or is not done properly, the leasing company will notify you and if it is not updated they will purchase third party car insurance. Is It Possible to Break Your Lease and Avoid Large Fees and Penalties? Are You Paying Extra on Car Insurance for Driving a Red Car? Do Owners of Exotic Cars Need Equally Exotic Car Insurance? What Do You Do with Your Car Insurance When Your Car is Broke Down?